Trendy Memo (formerly MemOh) box was created to make your workspace your happy place! Their subscription box service is for trendy business women, hip students or those that work from home. The Cost: $34.99 a month + shipping. Save with 3 and 12-month subscriptions. Coupon: Use coupon code 10MSA to save 10% off your first box! The Products: 4-6 products that range from cute office supplies, unique desk accessories, beauty products, yummy & healthy snacks, helpful nutritional information and much more. Good to know: Trendy Memo also has a shop where you can purchase miscellaneous items and their limited edition boxes. We will not be including insert cards in the boxes moving forward. This decision will allow us to save paper as well as to better customize your box based on when you sign up. We want to make sure you have all the office supplies to help you Work Pretty! Note, all boxes will continue to have 5 items in each box. This is handy to have so I can store my important documents, files, valuable papers in plain view. This clear plastic, PVC-coated cotton for sturdiness holder has a magnetic closure and measures at 12.25 x 8.5”. This 11 x 8.5” pouch has aqua-colored fabric on the top and the bottom has a cork-like material. The pouch is roomy and can store my iPhone, cosmetics bag, change purse, notepad, and pens. I could store my miscellaneous items and coin purse and add to my tote bag to organize the inside. Unfortunately, there was no manufacturer information for this item so I was unable to find a price value online. I love sticky notes and I have a variety of sticky pads, but I don’t have this style. I received an aqua and white weekly sticky pad starting with Mon-Sun. The pad has 100 sheets with an adhesive backing and measures at 10″W x 2.5″H. The weekly sticky pad held its adhesiveness to my wall and didn’t fall off. Now I can adhere to any surface in my apartment so I can keep track of my weekly schedule. I write letters and send cards monthly to my pen-pals, friends, and for The Letter Project so I was excited to receive a postcard with a similar color design on the envelope. The back of the postcard has “thanks’ inscribed in gold on top of the card and the front of the card has a similar color design as the flap of the envelope. I was unable to find this card on the Graphique website. I love the design on the front of the card and the kiss mark on the flap of the envelope. The card is blank inside and has colorful lipsticks, a kiss mark, and “you’re the best” printed on the front in gold. This could easily be framed or sent to my friend. I was unable to find this card on the Lady Jayne website, so the estimate is based on similar cards. The splendid pen comes with 3 blue ink cartridges and a rubber grip for comfortable writing. This pen is smooth, has an intense color, and the ink doesn’t bleed onto the paper. The ink cartridge was easy to assemble, as the instruction video and care instructions were straightforward. This particular style of pen and writing tip is new to me and I love it. Here is a close-up of the tip of the pen and a writing sample of the blue ink. The Verdict: I received six items this month but could only estimate a total value of $25.94 for a four of them. Normally their monthly value fluctuates; for some months it’s around $40-$50+. So, keep that in mind if you decide to subscribe. This month’s box has some new office accessories, such as the weekly sticky pad and the reveal document holder, both items that will be a welcome addition to my home office. It was a pleasant change to have a greeting card and postcard included, it’s wise to have on hand for those unexpected moments where a follow-up or thank you note is needed. The “you’re the best” card may be too informal for a business correspondence but for my personal use it’s perfect. I appreciate Trendy Memo saving paper but I prefer an insert card to ensure I have the correct items and the manufacturer information. This will be an adjustment. 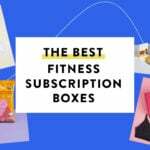 This subscription does deliver on sending 4-6 items per month, and the products are suited for my office, they often include beauty, fashion and lifestyle items. Each individual has their own unique style as to how they decide to adorn their desk, and this subscription can assist in the creative process. Can you still get this box if you sign up today? Monthly boxes ship between the 1st and 5th of the month. The 15th through the end of the month is when they take orders for the next month’s box. Value Breakdown: This box cost $34.99 + $5.99 shipping, which means that each of the 6 items in the box has an average cost of $6.83. Check out all of our Trendy Memo Reviews and the Women’s Subscription Box Directory! What do you think of the March Trendy Memo box? How do subscribers rate Trendy Memo? Do you subscribe to Trendy Memo? Add your rating now! So im paying $41 for $26 worth of stuff? No clue why anyone would do that. The weekly still my pad is pretty smart! They really could step up their packaging- I would hate to receive my stuff all creased and bent like that. I am very *Pro Environment* but this is not good. I guess I just do not get a lot of the stationary sub’s out there. The value never seems to exceed the cost of the box and I can find many items discounted at my local stores. I like that they are reviewed as it does give me some ideas when I hit the store. But for me the value is a turn off.